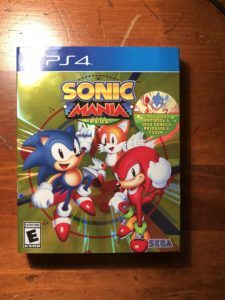 Most of you are probably enjoying playing Sonic Mania Plus right now. I sure as hell am. 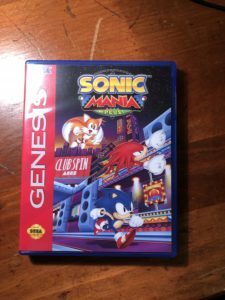 Now, all of the Sonic Mania Plus games came with a very nice holographic cover, a reversible Genesis/Mega Drive cover (sorry Xbox One buyers), and a 32-page art book covering many different details of Sonic Mania Plus’ story through development. With all that out of the way, there is one particular thing we are going to be looking at, the art book. 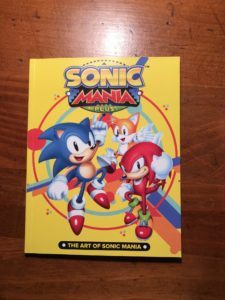 The book itself has very detail descriptions about Sonic Mania’s development from 2016 and how the transition from dedicated fan-game to mainstream game came to be. It is full of amazing concept art of characters and zones, but were not here to talk about that. Hidden at the very end of the book, there is a line of Morse Code on the very top. Notices code. OwO what’s this? TOGETHER, WE ARE GREATER THAT THE SUM OF PARTS. That’s a very odd quote to put on the back of an art book. After doing some more digging, it turns out that this is loosely based off a quote by famous Greek philosopher, Aristotle. Not to get into too much philosophy here, but Aristotle is referring to synergy, and synergy is the cooperation of two or more organizations that put a combined effort that will be greater than the effects of the organizations themselves. 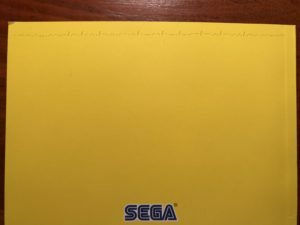 So tying this back to Sonic Mania Plus, this is basically telling everyone that none of this, the physical copy, would be possible without the help of the Sonic community and quite possibly, everything else that has happened within the Sonic community, such as a Sonic toaster being developed. This is just a nice way of SEGA telling us thank you for the support we have given them over the past year. So how can we repay them, by playing Sonic Mania Plus. And always remember: Fun is Infinite.